This article is part of a series sponsored by Balanced Blends, a raw pet food company, answering some of the most common questions around feeding a raw food diet to your cats. After doing the research, you’ve finally found the optimal raw diet for your cat. But now comes the potentially challenging part – transitioning your favorite feline to the diet that you know is better for them, but that’s totally different from what they’re used to eating. While some cats will take to raw immediately, others may take a little bit longer. How can you make the transition easier? Slow and steady wins the race; transitioning takes time. If you’re used to feeding kibble, you’ve probably left it out all day long. When you transition to raw, it’s important to have set mealtimes, just like most humans have – breakfast, lunch, and dinner, or just breakfast and dinner. Give your cat 30 minutes or so to eat, then remove the food. Mealtime for your cat should be a happy, relaxed experience. In a multi-cat household, this may mean separate eating areas. Just as we wouldn’t be expected to share a plate at dinner, we shouldn’t expect our cats to either! Find a safe space for each cat to eat so they can enjoy their tasty meal without the threat of other cats invading. If your cat has been eating exclusively dry food, you may want to transition her to canned food first, then to raw. Most cats don’t like change, so the differences in smell, taste, and texture can be overwhelming. 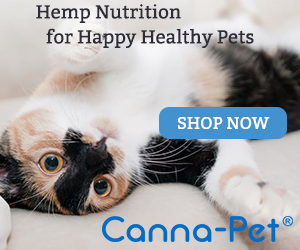 Mixing a premium high protein canned wet food with their dry food before moving onto raw may be a good way to help your kitty adjust to the new sensations. Start with 1/4 canned to 3/4 kibble, then after a week move to 1/2 and 1/2, and then 3/4 canned to 1/4 kibble, until you can finally transition all the way onto canned food. Then repeat this process to move onto raw food. Patience and confidence go a long way when transitioning to a raw diet. Cats are pretty intuitive, and they will pick up on any stress you may feel around feeding a new diet. Remain patient with your kitty as they transition onto a new food. Don’t hurry the transition. Any change in diet can cause stomach issues, and if you transition too quickly, your cat may experience stomach problems that she then attributes to the raw food, and you’ll have to start all over. You know you’re doing the right thing for your furry friend, and your confidence will transfer to your kitty. Different cats will prefer different proteins. Keep track of which ones your cat enjoys so you can make sure you are buying the right raw food. Sometimes, cats are receptive to hand feeding. Having the food offered by hand might just be what your kitty needs to make the connection that the food is safe and tasty. Raw food should never be cooked. However, warming it slightly (the industry standard is “mouse body temperature”) for 15 seconds or so in the microwave, or putting the food into a small bowl and putting that bowl into some hot water, can help enhance the smell and take off the chill from being in the refrigerator. This might help entice your kitty to eat the food. Most raw foods do not use any type of flavor attractant. Sprinkling a small amount of parmesan cheese, bonito flakes, dehydrated meat treats, or nutritional yeast on your cat’s meal may help overcome any reluctance to the diet change. What strategies have you found to be most helpful when transitioning your cat? This series is sponsored by Balanced Blends. For more information on their Raw Dinners for Cats, please visit their website. Balanced Blends Guide to Raw Feeding: How Does a Nutritionally Balanced Raw Diet Benefit Your Cat’s Health? Balanced Blends Guide to Raw Feeding: Is Raw Pet Food Safe? « Why Is My Cat Spraying and How Can I Stop It?